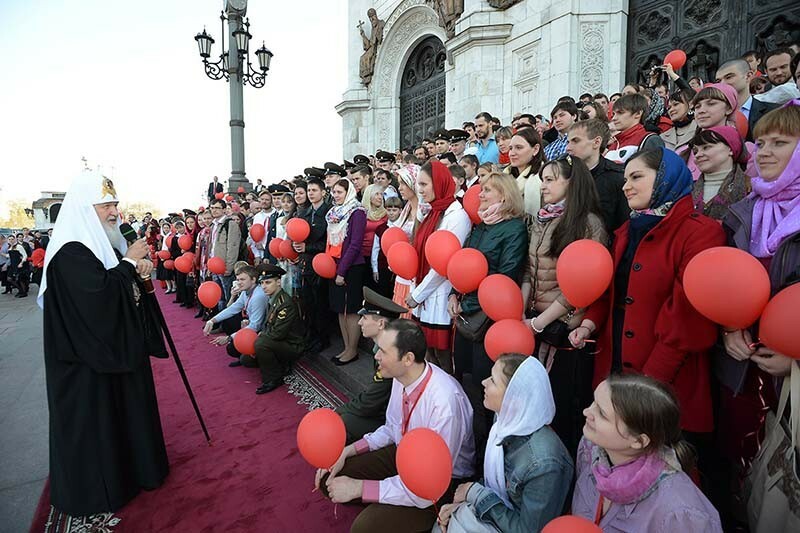 The Patriarch has said that the Church must pay special attention to working with young people, "to go to schools, to develop the church education system" and to make every effort to make this system attractive and interesting for young people"
The festival ‘Glory to the Homeland’ will be held in Moscow on November 15th, Ria Novosti reports. The Church, which has put special emphasis on the importance of social work among Christians and youth, has organized multiple events, projects, and conferences on the topic in the past few years. “Orthodox and secular youth public organizations and associations take the most active part in the life of the country, implement programs and projects aimed at helping people in need. The award ceremony will be held in the enormous, plush new luxury conference center which is part of the Christ the Savior Cathedral complex in Moscow, Russia's largest and most important cathedral, reconstructed in 2000 after being destroyed by Stalin in 1931. "The Preservation of spiritual and moral values in the modern information space"
"The Beauty and originality of Russia in the visual arts"
"An Active civic stand and social initiative"
"The Glorious traditions of Russian science". The honorary guest of the festival will be Svetlana Medvedeva, the president of the Foundation for Social and Cultural Initiatives and former First Lady. All the laureates will receive diplomas from the Foundation for Social and Cultural Initiatives and the Synodal Department for Youth Affairs of the Russian Orthodox Church, as well as valuable gifts and prizes. 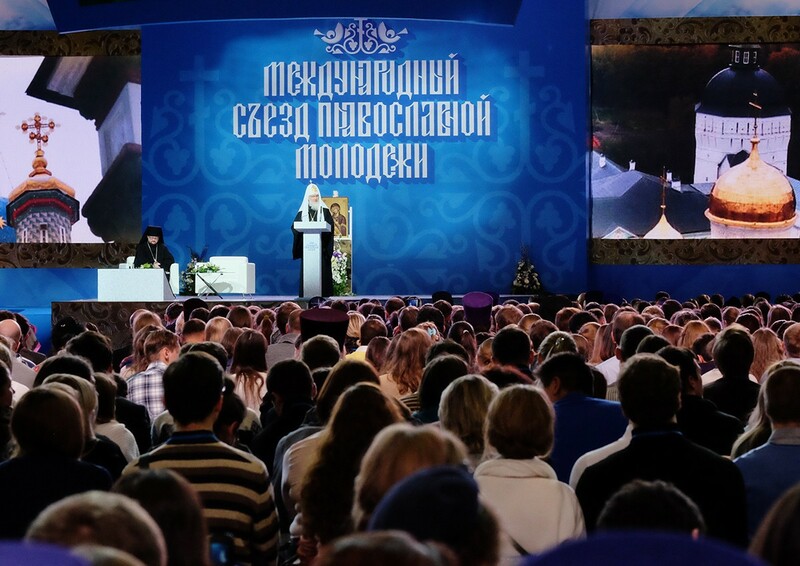 This conference reflects two of the primary concerns of the head of the Russian church, Patriarch Kyrill: 1) Increasing the Church's participation in social work and 2) Educating, empowering, enlightening and connecting with the youth. Earlier, he urged the clergy to pay special attention to working with young people, "to go to schools, to develop the church education system" and to make every effort to make this system attractive and interesting for young people. For this, the priests must "learn to speak with them in a different language." "All this should not be done formally, not on orders, but on the sincere desire, first of all, by the abbots and clergy." Only then will everything change: not only in the parish life but in the life of our people. 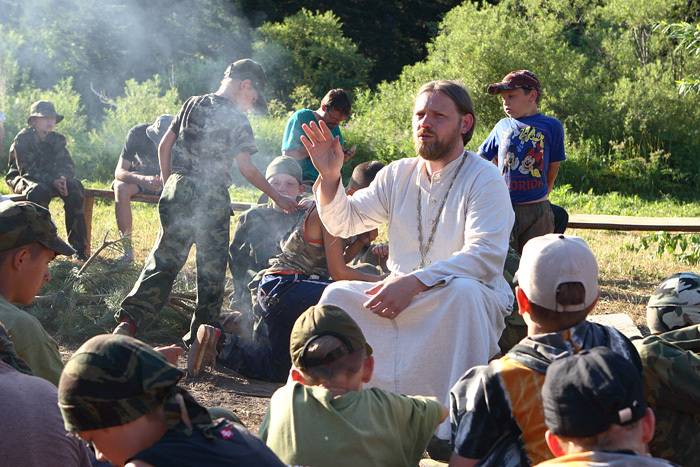 If the majority of Orthodox youth pass in childhood and youth through our parishes, they will be good citizens of Russia - wonderful families will build and bring up the next generation in the spirit and power that the Lord has brought to us" said the head of the Russian Orthodox Church.